Great news. One of the most inadequate and dangerous stretches of A road in the town is due to be improved. With houses imminent on the Whitehill site, I am pleased to be able to report that options to improve Exeter Rd at the infamous pinch point between the Vauxhall garage and the roundabout at the top of Jetty Marsh Road, are being designed with possible implementation alongside other already approved improvements to the A382. The main options being looked at will allow a 3.5 metre pavement to be put in alongside the road which itself will be widened to 6 metres. I have always been opposed to the Whitehill site being developed for housing without this road, and in particular the pavement being widened. For this reason I had always voted against allowing this development. The existing pavement is less than a metre wide in places when overgrown vegetation is taken into account, and passing lorries often mount the pave ment. Those that currently use the pavement are taking their life in their hands. In my opinion it was utterly unacceptable that this was proposed as the main pedestrian route from the Whitehill site into town and schools. 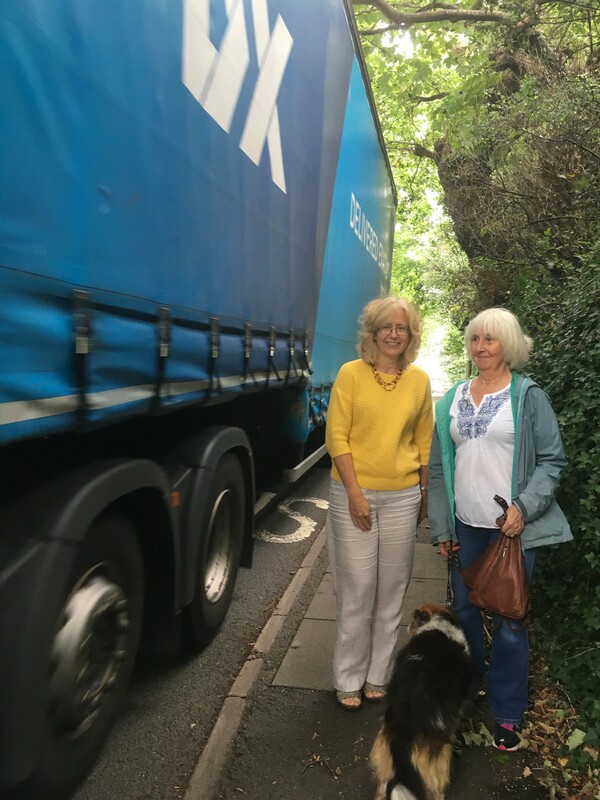 The thought of school children, pushchairs, mobility scooters squashed on to a metre wide footway, with lorries thundering past millimetres away filled me with horror. Despite my opposition the Whitehill site was approved on appeal, and as County Councillor, I immediately set about pushing the County Council to prioritise the improvement of this road and pavement. So it is great to report that this is one step closer. Finance for the scheme is available from that allocated for the A382 improvements. There are a couple of options in terms of the detailed design of the scheme, and DCC are currently speaking with residents near to the scheme to discuss these options and get their feedback.